Co-founder of Kumakonda. Passionate of Africa. 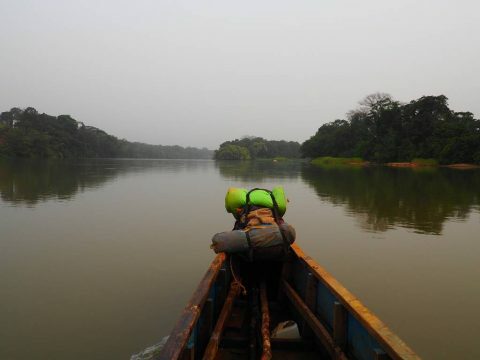 Specialist in the design, preparation and realization of expeditions in Africa. Content creator. Deep in the rainforest of the northern Congo Basin lies the Dzanga Sangha Reserve, a protected area home to an extraordinary variety of wildlife, from the most amazing and diverse small insects such as hunting ants and butterflies, to western lowland gorillas, chimpanzees, leopards or elephants, and a large number of birds. 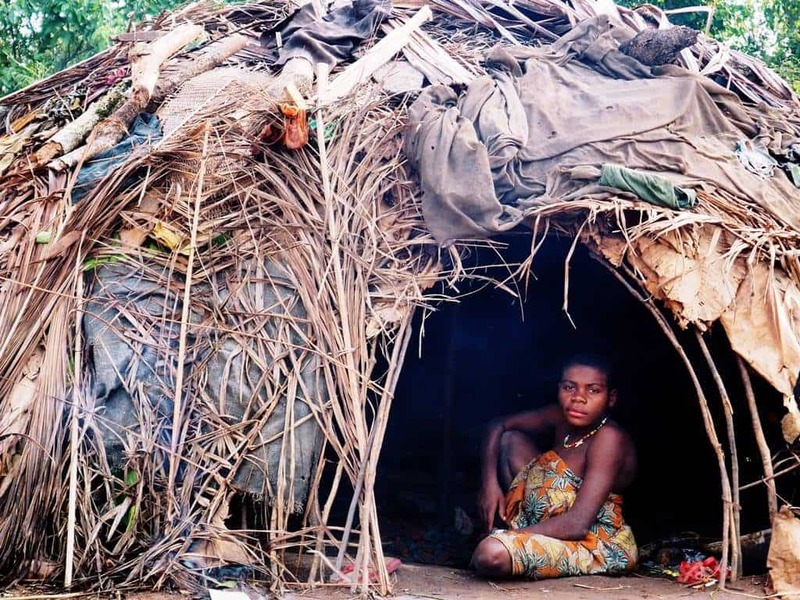 On the borders of the Reserve lives one of the most fascinating peoples of Africa: the Ba'Aka pygmies, the great knowers of the forest. From northern Cameroon we travel to the Central African Republic, a country that in recent years has suffered a religious and cultural conflict, and although it is true that in many parts of the country problems continue (north and east), traveling to the Dzanga Sangha Reserve from Bangui, Republic of Congo, or from Cameroon is completely safe. 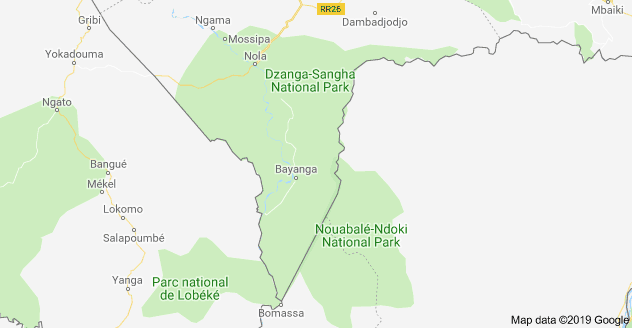 Dzanga Sangha Reserve is located in the extreme southwest of the Central African Republic, in the heart of the Congo Basin, where the borders of Cameroon, the Central African Republic and the Republic of Congo converge. 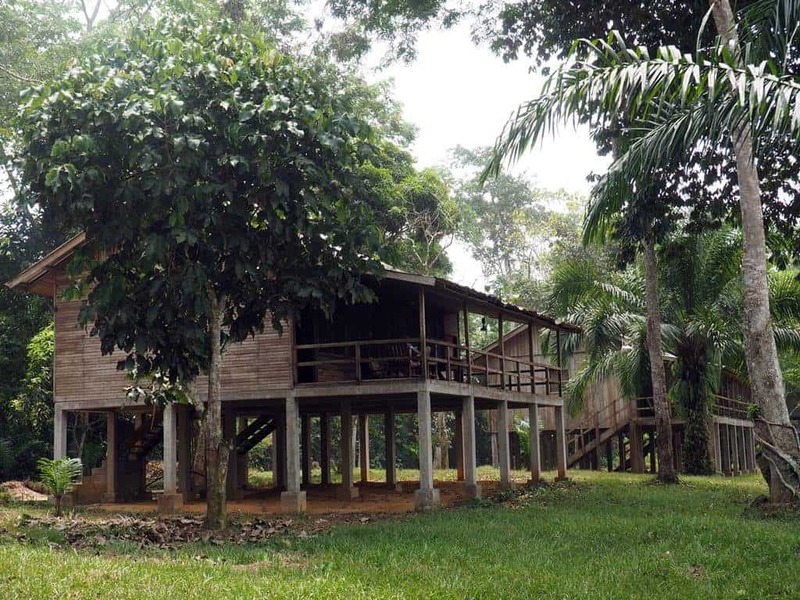 Dzanga Sangha is part of the Trinational Sangha Reserve, a huge protected area of virgin rainforest, comprising the Lobéké (Cameroon), Dzanga-Ndoki (Central African Republic) and Nouabalé-Ndoki (Republic of Congo) National Parks. The Sangha transboundary reserve is part of UNESCO's World Heritage. Many consider Dzanga Sangha to be the best tropical forest reserve in Africa and we agree very much. Want to know why? Here are some good reasons why you shouldn't miss the Dzanga Sangha Reserve. 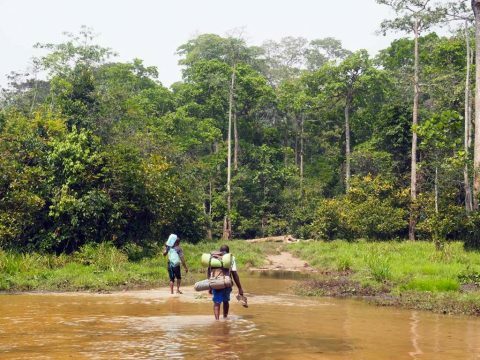 The Congo Basin is one of the most important remaining forest areas on the planet, being the second largest tropical forest in the world. 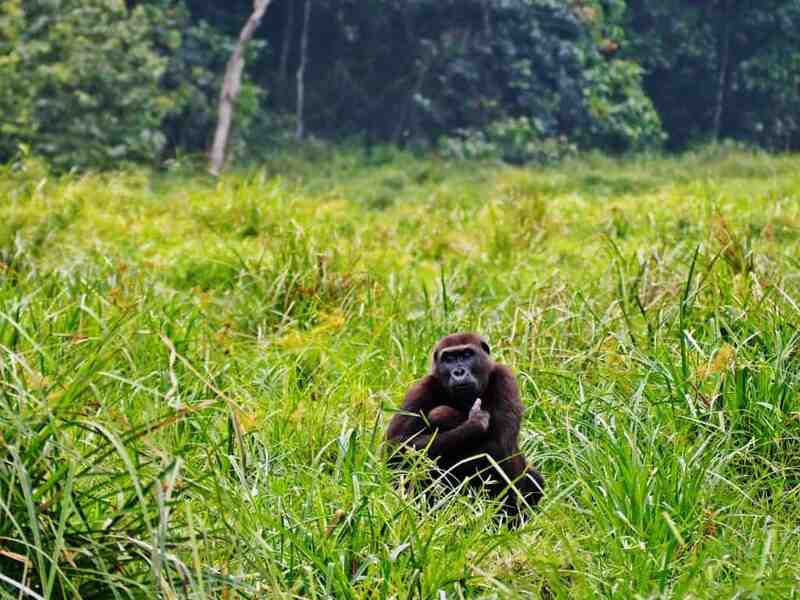 Congo Basin is full of wildlife and consists of an incredible mosaic of rivers, forests, savannas, swamps and flooded forests. If there's one thing the Dzanga Sangha Reserve is known for, it's its wonderful Dzanga Bai. 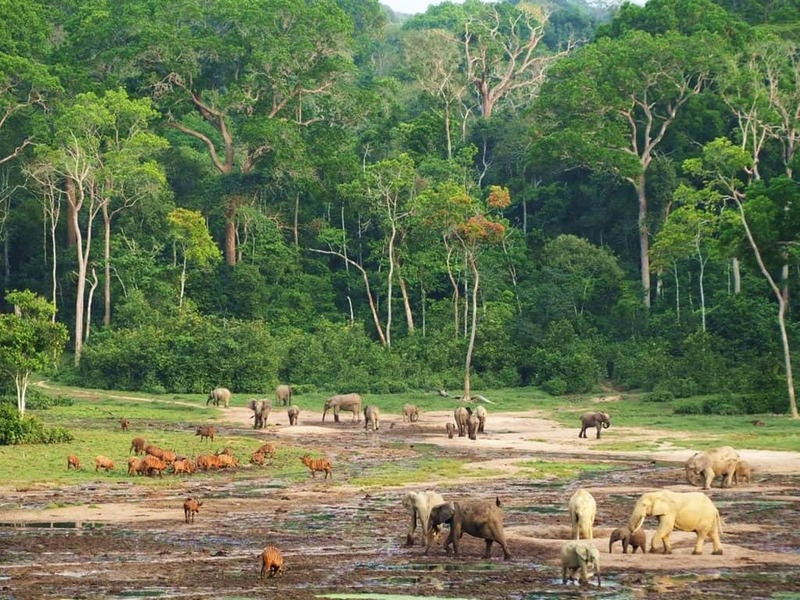 The bai are clear in the forest and its soil is very rich in minerals and nutrients so they attract wild animals such as elephants, bongos, sitatungas, wild pigs, or buffalo and others. 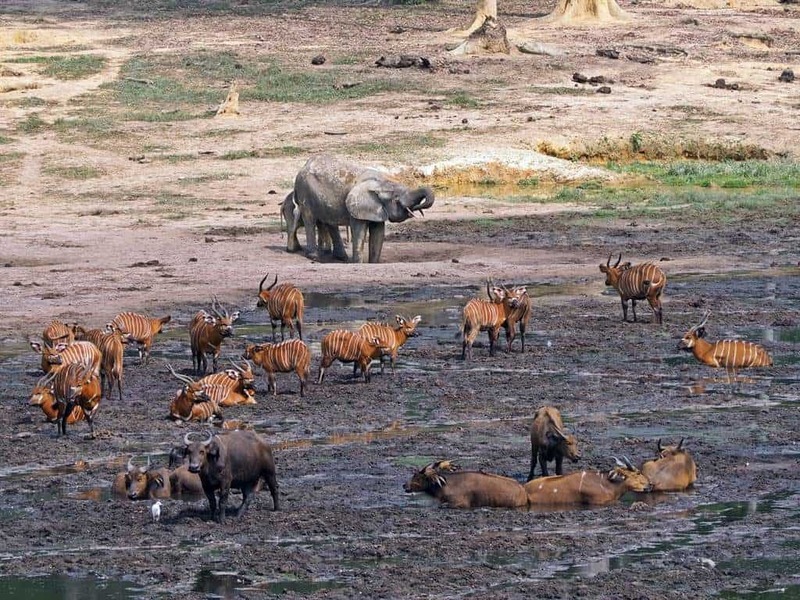 The Dzanga bai is a unique case in Africa, as you can observe almost at any time of day, a large number of elephants, reaching 100 or 150 specimens at the same time. Dzanga bai has an elevated observatory, from where to contemplate the wild life of the bai calmly. 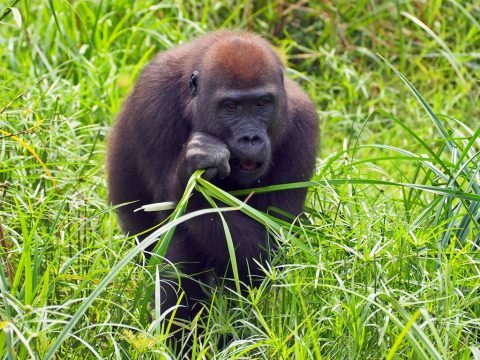 In Dzanga Sangha there are several groups of western lowland gorillas accustomed to human presence, which means that the traveler can approach a family of gorillas at a very short distance without them fleeing or attacking. This gorilla habituation programme involves several years of daily work in the forest and has been carried out by Ba'Aka pygmies. 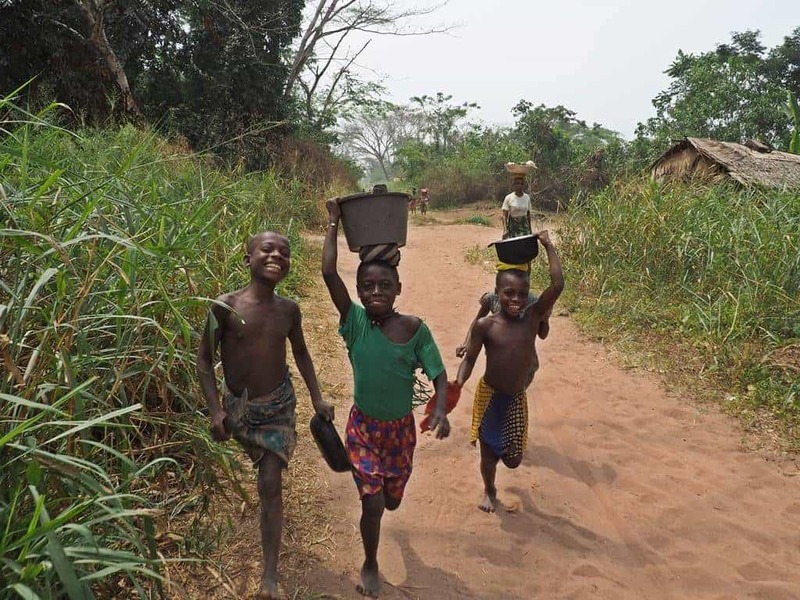 With Ba'Aka pygmies we will go out to track the Dzanga Sangha forest from the Bai Hokou camp, which is located 35 kilometers from Bayanga. On narrow trails we will walk for one or two hours until we reach the gorilla group. 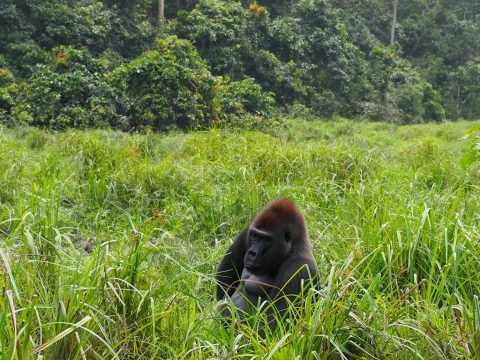 The chances of success are more than 90%, so the encounter with gorillas is almost guaranteed. Living with the Ba'Aka pygmies spending a night or two in the forest with them and getting closer to their ancestral culture is a really extraordinary experience. 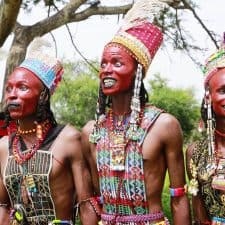 In these visits to the forest we will go hunting with the Ba'Aka and see how they use nets to enclose and catch the prey. 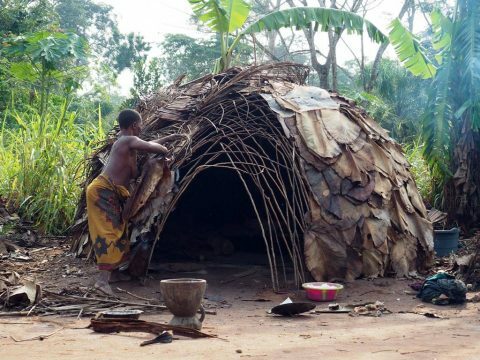 The Ba'Aka women will introduce us to the medicinal plants they use and how to extract them from the different trees and shrubs and we will see how in just a few minutes they are able to build their huts with branches and leaves to protect themselves from the rain. 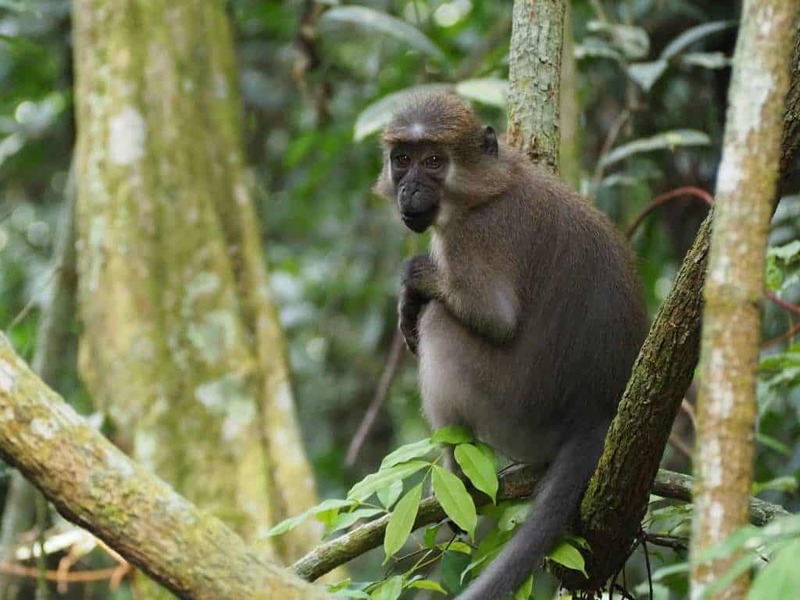 The vicinity of Bai Hokou in Dzanga Sangha is home to a group of habituated agile mangabeys (Cercocerbus agilis). 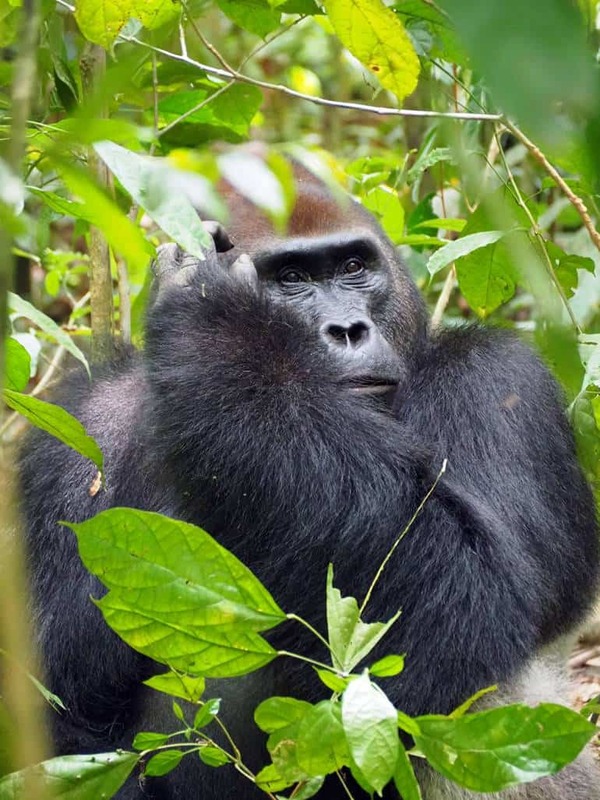 Since November 2004, WWF's Primate Habituation Programme has been following this group and it is now possible to observe safely this group of around 300 individuals. This is a unique case, as it is normal for mangabeys to form groups of 20 individuals. 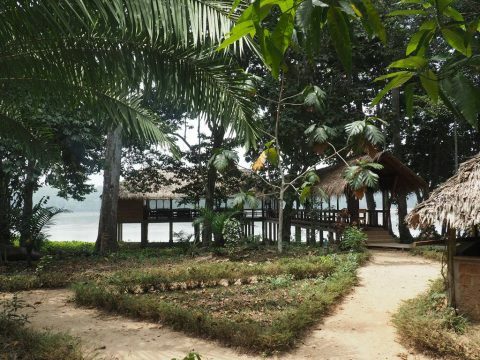 Doli Lodge offers a perfect base on our trip to Dzanga Sangha. 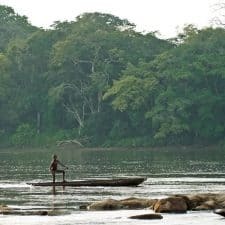 Perfectly situated in the forest and next to the Sangha River, Doli Lodge is located at the gates of the Reserve and a very short distance from the pleasant riverside town of Bayanga. 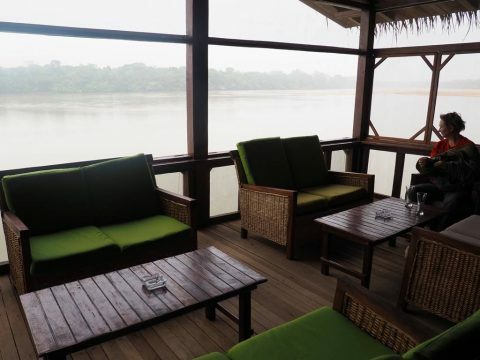 Doli Lodge offers comfortable accommodation (renovated in March 2019) with an excellent terrace overlooking the river where you can enjoy the meals they offer, a cold drink or chat with the other travelers. 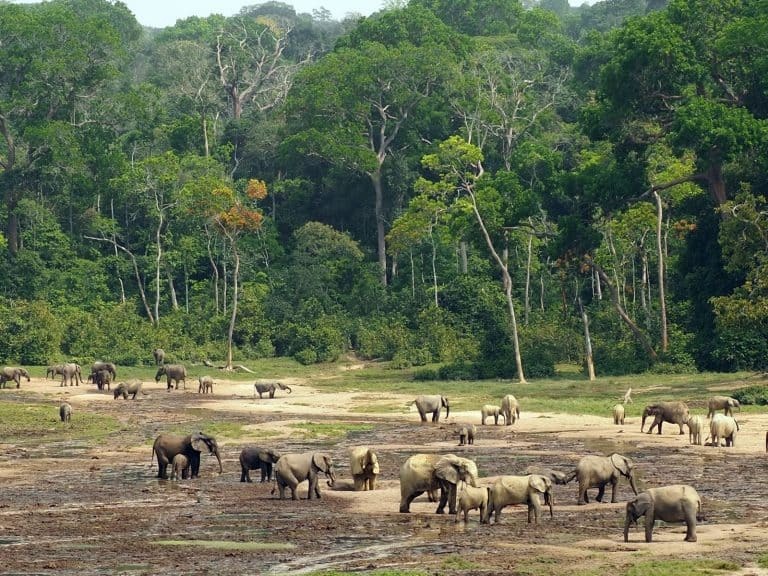 The best time to visit the Dzanga Sangha Reserve is from December to March, but it is possible to visit it at any time of the year. 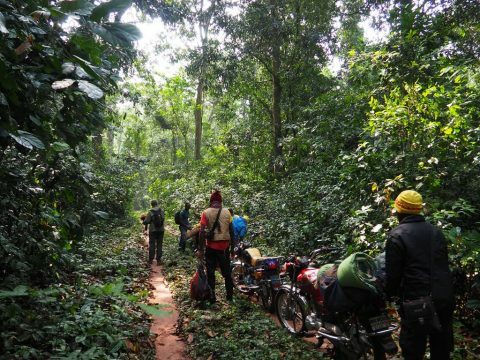 You can join our scheduled expeditions or we can organize your trip to Dzanga Sangha from Bangui (by 4x4 or plane), Brazzaville or Yaoundé (by land and canoe) with the availability of Spanish, English and even Russian speaking guides. I agree with treatment of my contact data in order to receive your commercial info.